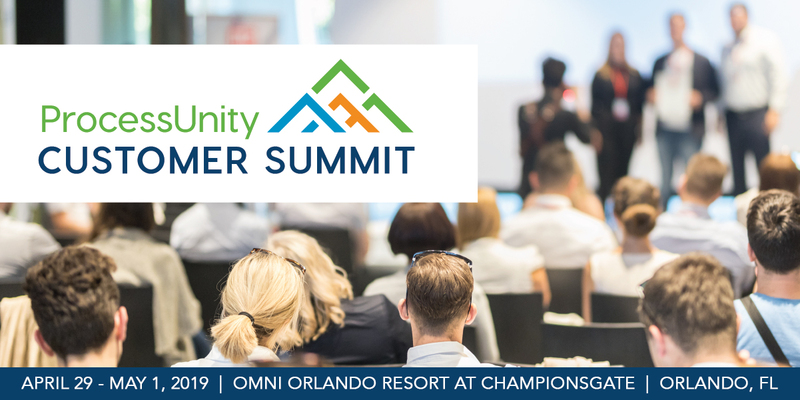 Get ready to engage with industry colleagues at the 2019 ProcessUnity Customer Summit. This exclusive, interactive event is committed to helping you get the full benefit of your ProcessUnity implementations. Don’t miss your opportunity to take part in breakout sessions, learn from industry visionaries and product experts, share best practices with your peers, and discover how to take your ProcessUnity programs to the next level. This site will be your go-to location for all content and information regarding the event. We will continue to add information about speakers, presentations, evening events and training as we get closer so please bookmark this site and come back often. To register for your conference tickets or bootcamp, you can click on the register button below. You may also reserve your hotel room at our negotiated $199 rate only through the Venue tab on this site. Any questions should be answered here, but feel free to email marketing@processunity.com if any needs arise!